Fiat India launched the much awaited Abarth 595 Competizione today for the Indian market at the Buddh International Circuit, New Delhi. Priced at ₹ 29.85 lakhs, this small yet powerful 3-door hatchback is here to create sensation on Indian roads. This launch will excite the racing enthusiast and will pump up the excitement to a different level altogether. 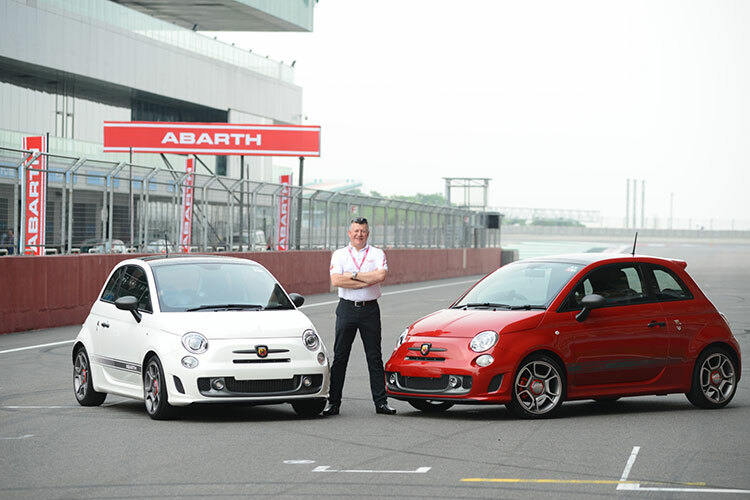 The Abarth 595 Competizione will be available in four colours – Iridato White, Scorpione Black, Cordolo Red and Campovolo Grey. FIAT dealers in five Indian cities namely New Delhi, Mumbai, Kolkata, Chennai and Bengaluru. Clean exterior styling, Italian chic interior, dynamic performance, advanced technologies, state-of-the-art safety and security features labels the new Abarth 595 Competizione as the wicked and the fastest hatch. The sheer power and speed is quite an upgrade from its predecessor, the FIAT 500 Cinquecento. The Abarth 595 Competizione is a perfect blend of prodigious power, superb handling and fuel efficiency, all wrapped up with the inherent sporting character of a marque with racing in its soul.